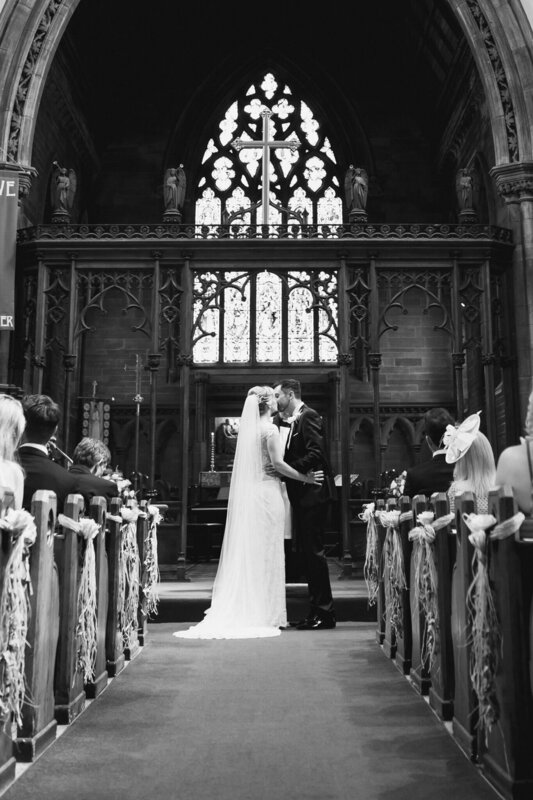 Wedding Venue – St. Wilfrid’s Parish Church, Davenham. 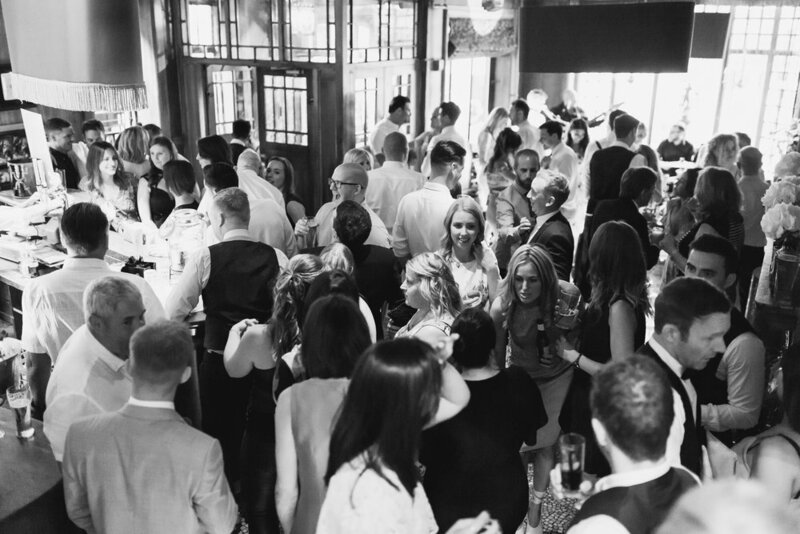 Reception Venue – The Belle Epoque, Knutsford. A HOT day in Cheshire. This wedding started in the opposite way to most of the ones we have done. I (Andy) went to meet John – at a family members house in a stunning setting about 10 minutes from the church – at 8.30am! The boys arrived and we had a lot of fun capturing them getting ready, hanging jackets on coal scuttles and looking awesome in their shades. In fact, the wide shot of the boys walking towards me is one of my favourites of last year. From here I went ahead of the boys to Davenham and met them at The Bulls Head pub for a cheeky pint (them, not me!). I really enjoy this half an hour or so before the church, it’s fun watching the blend of nerves and excitement in the groom and his best mates supporting and taking the mick! Then to the church for a lovely ceremony. I have to say, from allowing Gabby and I in to see the church a couple of weeks before the wedding right through to after the service, everyone at St. Wilfrid’s was brilliant. 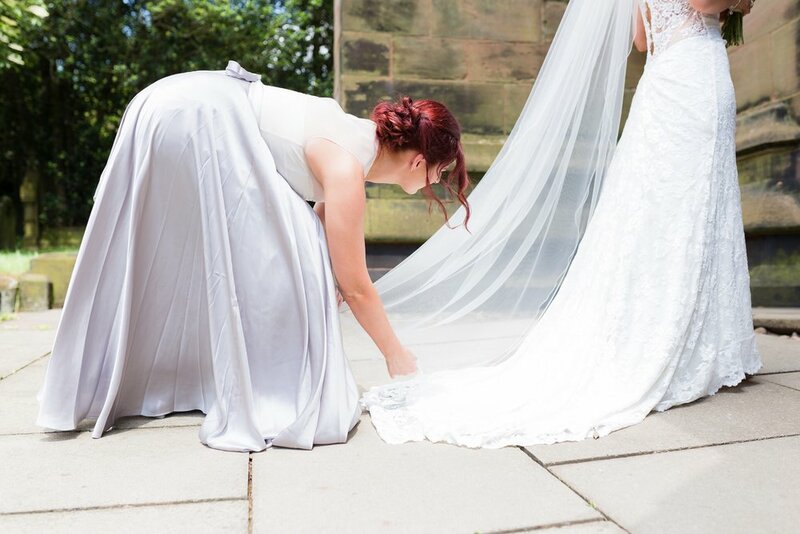 After the service Beth had organised for us to use the old rectory gardens to capture some beautiful pictures. Amazingly, Beth’s mum had got married at the same church and the kind family allowed us to try and get some similar pictures to her mum’s all those years earlier. Then to The Belle Époque! Gabby and I had been for a look round and planned where we could take group shots and other pics and it was a great chance to see the layout of a bonkers venue! When we turned up on the day it was hotter than the sun on the terrace and a huge gazebo had been constructed to provide shade exactly where we had planned the group shot! A quick chat with the wedding organiser had it sorted – “We will just stop the traffic in the street!”, she said. So we did. It was a lot of fun! 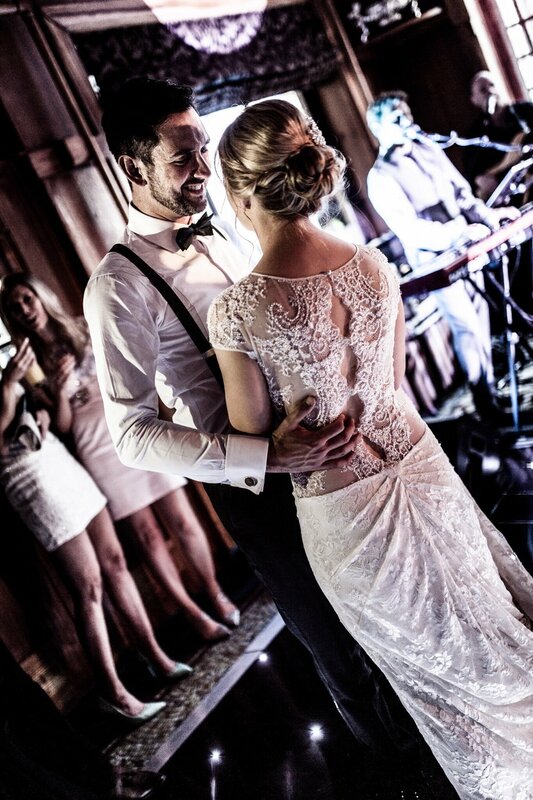 Great speeches, great food and amazing dancing followed. It was a long, hot day but such a pleasure to take photos for this beautiful couple. Thank you again, Beth and John, for choosing us to be part of your big day.